I want to sincerely thank you & your team for your wonderful service & products for our recent company picnic. Jared, I want to sincerely thank you & your team for your wonderful service & products for our recent company picnic. 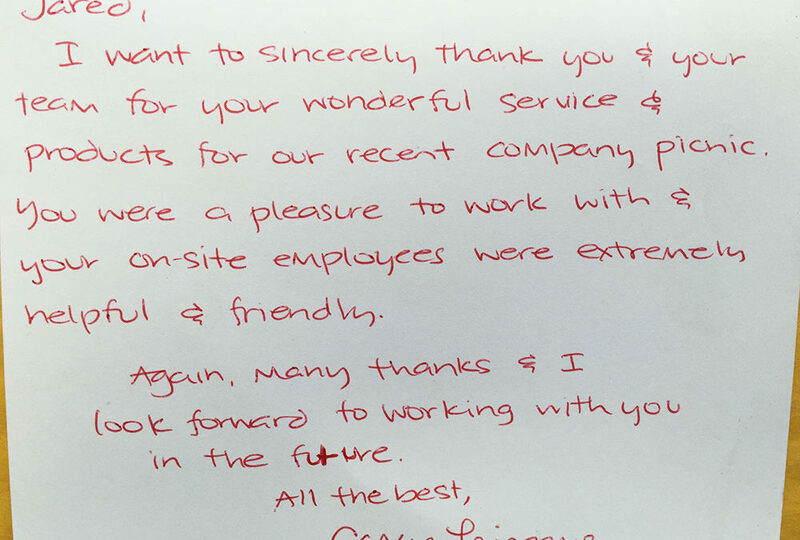 You were a pleasure to work with & your on-site employees were extremely helpful & friendly! Again many thank & I look forward to working with you in the future. All the best!